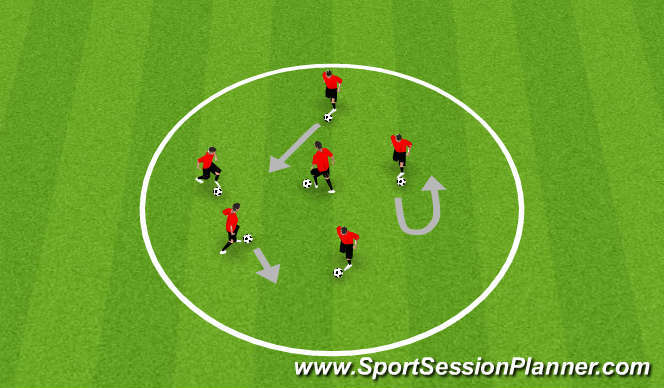 Players dribbling around circle with a ball, working as many skill moves and tricks as possible. e.g roll, roll, turn. Dragbacks. Cruyffs. Emphasis on as many touches of the ball as possible and performing moves with both feet. B) Same exercise but with defender providing passive resistance. Practice the above turns, aiming to get to as close to line as possible. -Emphasis on performing turns close to feet, with both feet, at pace. 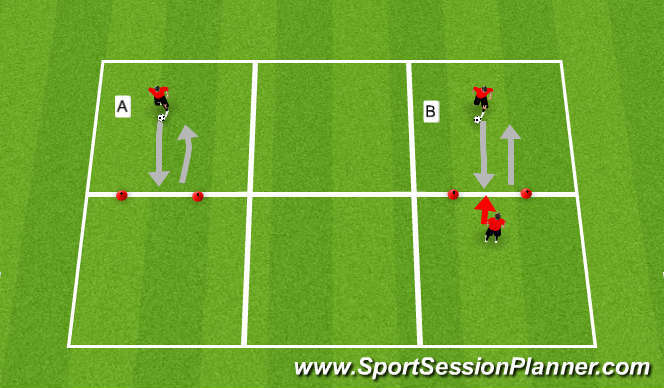 Repeated race to either A or B using as many different skills as possible to lose defender and be first to cone. Emphasis on pace of moves and body shape to deceive defender.